By John R. Johnson, Ph.D. When archaeologist Phil C. Orr’s discovered human skeletal remains eroding from the side wall of Arlington Canyon in 1959, he recognized their significance for shedding light on the earliest human visitors to the island. At that time, radiocarbon dating techniques were still being developed so that determining an accurate age for the human bone protein was not possible. Nonetheless, Orr realized that the bones, buried 37 feet below the existing ground surface, came from sediments dated to the end of the Pleistocene. His article regarding this momentous discovery was published in Science, our nation’s leading scientific journal. Recognizing that future improvements would allow a more accurate assessment of Arlington Man’s age, Orr jacketed the block of earth containing the bones with plaster and brought them to the Santa Barbara Museum of Natural History for long-term storage. In 1987, long after Orr’s retirement, advances in bone protein analysis and radiocarbon dating made possible direct dating of collagenous amino acids in Arlington Man’s femur. Don Morris, newly installed as Channel Islands National Park’s archaeologist, contacted Dr. John Johnson, the recently hired curator of anthropology at the Santa Barbara Museum of Natural History, to unwrap the plaster-jacketed block of earth and initiate state-of-the-art analyses of Arlington Man’s remains. The earliest attempts were not promising. Because of the great age of the bones, very little collagenous protein remained. Eventually using a resin filtration method that he pioneered, Dr. Thomas Stafford, a geologist and radiocarbon dating expert, obtained a small sample of collagenous amino acids from a small femur fragment. The astounding result Dr. Stafford’s dating this protein was that Arlington Man was 13,000 years old. These remains represented the oldest reliably dated human bone in the Americas! In order to corroborate the age derived from the human bone, Johnson, Stafford, and Morris assembled an interdisciplinary team of specialists and began fieldwork at the Arlington Springs Site. 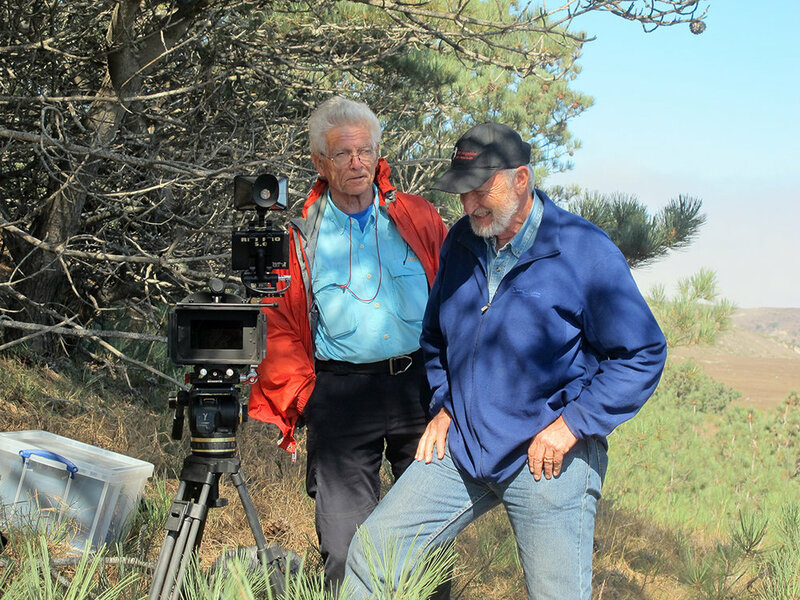 To date six field seasons have taken place between 1994 and 2008 to determine the geological and paleoenvironmental contexts of the earliest evidence for humans in coastal California. No additional human remains have been discovered, although tiny chert microflakes derived from sharpening stone tools were discovered in the same soil layer that contained Arlington Man’s bones. Many discoveries have emerged from the studies by the scientific team regarding the record of environmental changes uncovered by investigations at Arlington Springs. Currently the team is studying how sediment accumulation correlates with the rising sea levels and using radiocarbon dating of sediment cores to reconstruct the original ground surface that existed at the end of the Pleistocene. What are some of the significant findings that emerge from the discovery of human presence on Santa Rosa Island about 13,000 years ago and ongoing studies of the Arlington Springs Site? At the end of the Pleistocene, the sea level was a lot lower than today and what are now four islands were then all connected together in one mega-island, known to scientists as Santarosae. That island was never connected to the mainland, so Arlington Man’s presence implies use of watercraft along the coast 13,000 years ago. One of the scenarios for how the ancestors of Native Americans first entered the continent was by a coastal migration route as the glaciers along the western margin of the continent gradually retreated. Thus, the Arlington Springs Site provides evidence to show that people indeed were using boats along the Pacific Coast not long after Paleoamericans entered the continent. Paleontological evidence reveals that Santarosae had different flora and fauna at the end of the Pleistocene than do the Northern Channel Islands today. Pygmy mammoths and a giant deer mouse left their bones in the same geological formation that contains Arlington Man’s bones. Because full-sized Columbian mammoths were being hunted elsewhere in North America during the late Pleistocene, there is reason to believe that Arlington Man’s people likely pursued the pygmy mammoths that they found on the island. Although no conclusive evidence for pygmy mammoth hunting has yet been discovered, it must be pointed out that sea level rise has inundated and obliterated the most likely coastal locations where people would have lived at the end of the Pleistocene, both on the island and on the mainland. Arlington Springs would have been an interior island location some 13,000 years ago, several miles from where the coast then existed. The fact that Arlington Springs is the only site in coastal California known to date to the Late Pleistocene makes it of exceptional importance for contributing to our knowledge of the earliest peoples to inhabit our region. Photos courtesy of John R. Johnson, Ph.D.
From John R. Johnson, Ph.D.